Margaret Atwood has revealed the cover for The Testaments, the sequel to The Handmaid’s Tale. The cover designed by Noma Bar, who worked on The Handmaid’s Tale hardcover reissue, sees the red Handmaid’s colour palette switched out for a bold green and features the figures of two women. 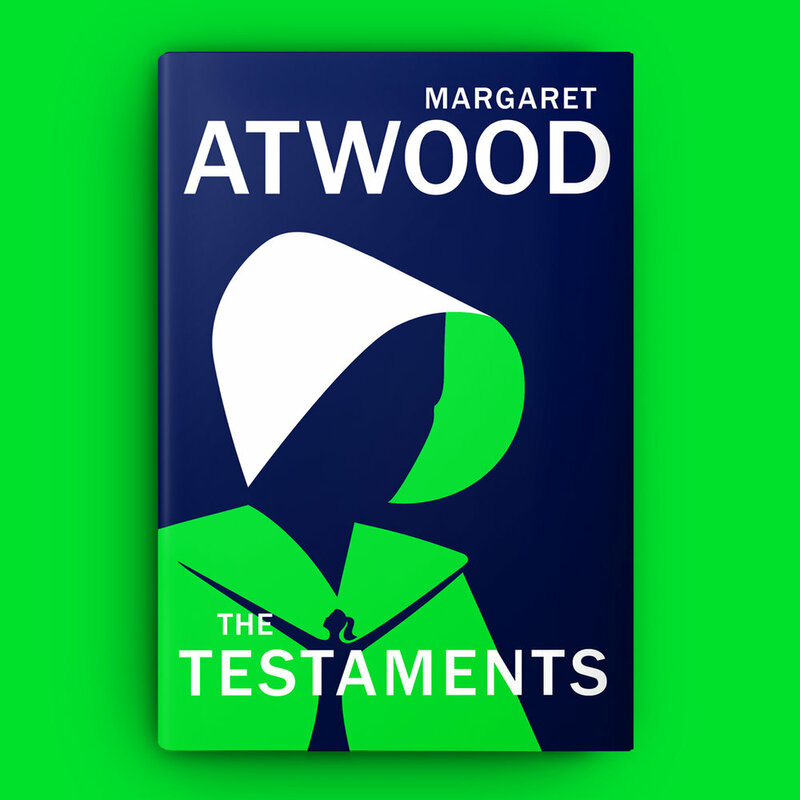 “I am so pleased that Noma Bar – who did such a brilliant job with the hardcover reissue of The Handmaid’s Tale – took on the challenge of designing the cover for The Testaments. Set 15 years after Offred's ambiguous final scene in the acclaimed 1985-published novel, The Testaments, slated for publication on 10th September 2019, promises to be a "global publishing event”. Vintage will publish The Testaments under its Chatto & Windus imprint on 10th September, priced £20, after Becky Hardie, deputy publishing director of Chatto & Windus, acquired UK and Commonwealth rights, excluding Canada, from Karolina Sutton at Curtis Brown. First published in 1985 by Vintage imprint Jonathan Cape, The Handmaid’s Tale was shortlisted for the 1986 Booker Prize and is an A-level curriculum text in the UK. A third series of "The Handmaid's Tale" will air on US streaming service Hulu in the spring and will return Channel 4 in the UK not long after.